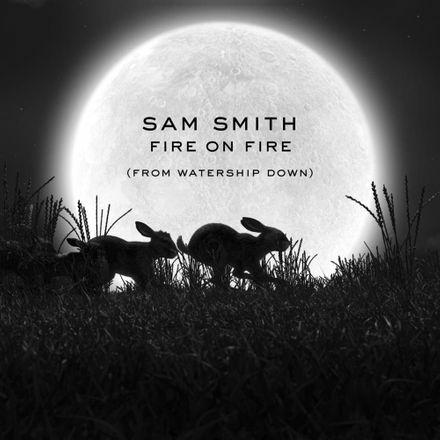 Sam Smith’s emotional vocals feature on the BBC and Netflix’s mini-series ‘Watership Down.’ The series is an adaptation of the novel Richard Adams published in 1972. The story is a brutal tale of the small group of rabbits living in the town of Watership Down in Hampshire, England. The new song “Fire On Fire” is a song of love perfectly synced within the chaos that unfolds in the music video. This new track comes after Sam Smith’s collaboration with Calvin Harris on the upbeat single “Promises.” The mini-series ‘Watership Down’ is available on Netflix on December 23, 2018. Sam wrote on his social media site that he is ‘so honoured to be part of the new @bbcone/Anetflix adaption of Watership Down. This story is so powerful and timeless and it’s been thrilling to work on a song for it.’ Though the critics' response has been mixed the comments on social media from listerners has been almost 100% enthusiastic and complimentary. The song was written by Sam alone without collaborating with his usual partners and has his distinctive melodic style. This is a story of a group of hares/rabbits fleeing from their warren in a war-stricken England. They try to seek salvation and survival in the town of Watership Down amidst all the natural and man-made chaos. We get a rabbit’s POV of the world that we humans usually fail to see. They endure attacks from different prey such as birds, foxes, dogs, and even human hunting. They struggle with railway tracks, human traps, natural traps, hunting dogs and the list goes on. The group even suffers struggles within themselves as intense arguments lead to murders as well. In the video for “Fire On Fire” we get a closer look at this group of rabbits and the result is too tragic to tolerate.